Last month, on the heels of So Breezy, someone commented that we should make an entire set based off my handwriting. How ominous. 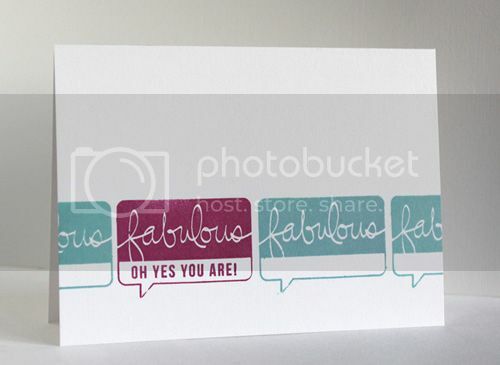 :) So earlier I mentioned that our Hello speech bubble set is a bit different than what's already out in the market. We originally had them pieced together as a single stamp, but after brainstorming with Pearl, she suggested we break it up! And I'm so glad we did. Genius! We love what our designers did with this fun set! No better way to highlight a fun sentiment than this! The speech bubble really pops against all the whites and yellows. Gah! There goes JJ again with another stunner! 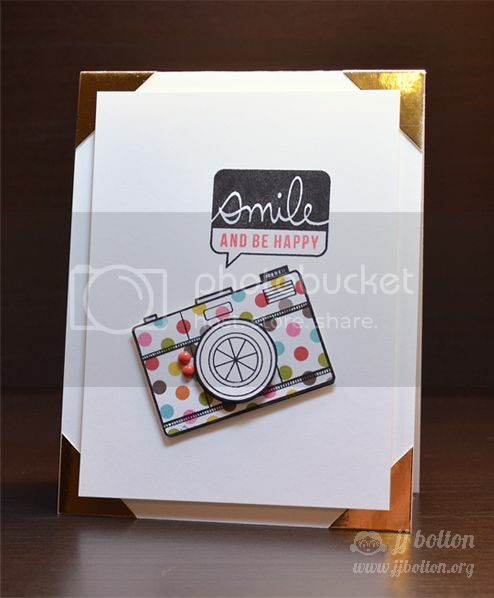 Love that polka dot camera from We Click! 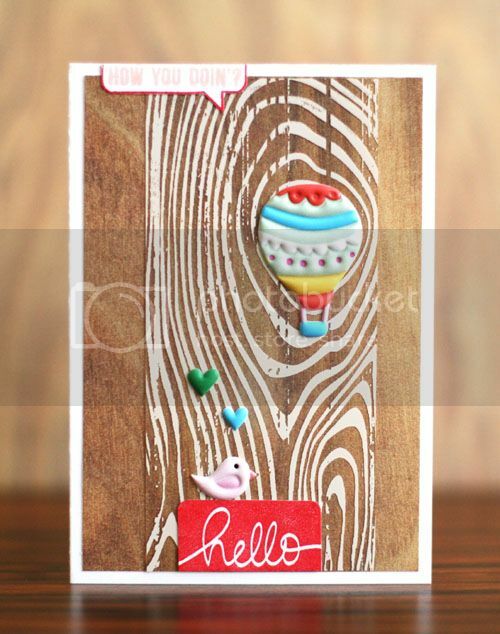 Hold on let me grab my shades, Mariana created this super bright and happy card! 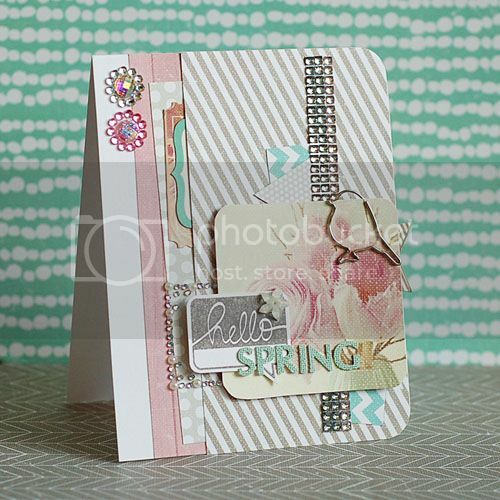 Fall in love with Spring with this beautiful and romantic card by Lea. So pretty! 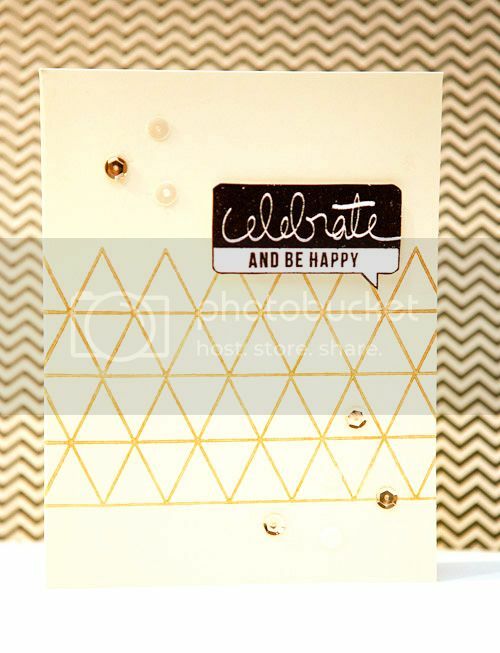 Pearl cut up the image even further in this rustic, charming card. Love the pops of colors! 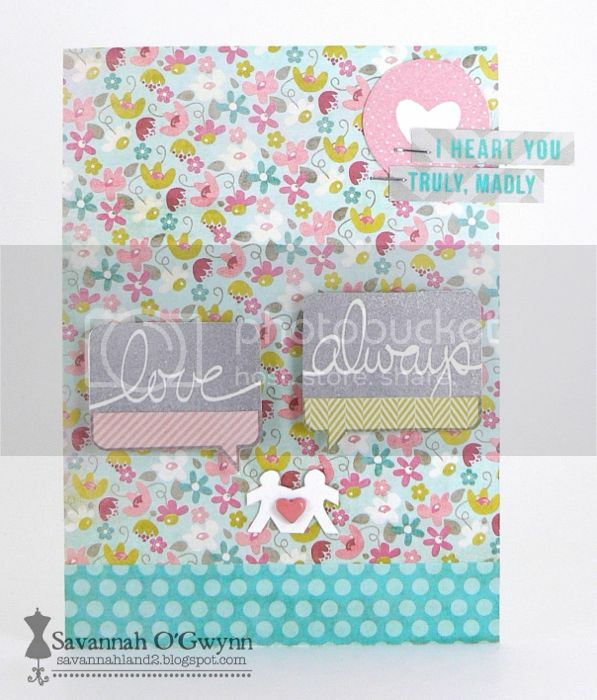 What a pretty card by Savannah! I love that she used patterned paper in the opening in lieu of the complementing sentiments. Before I go, it's time to announce the 3 lucky winners who will each receive a $20.00 gift certificate to our store. Winners have 48 hours to contact us to claim their prize with subject heading "March 2013 Stampede Gift Certificate Winner". Remember peeps, there's a reason why we ask you to follow us on Facebook, Twitter, and blog, you don't want to miss a thing! Fantastic cards! So many different styles that really highlight the versatility of this set. Love it! What a cute set! I agree that it was a great idea to keep the elements separate. It gives the stamper so much flexibility. Congrats to the winners! I know they are going to love going shopping at the ME store!!!!!! FAB creations by the DT again!! Totally blown away-- and I think this might be my FAV set!!!! LOVE those speech bubbles! What a great set - some phenomenal cardss here and congrats to the lucky winners. Congrats to the winners!! 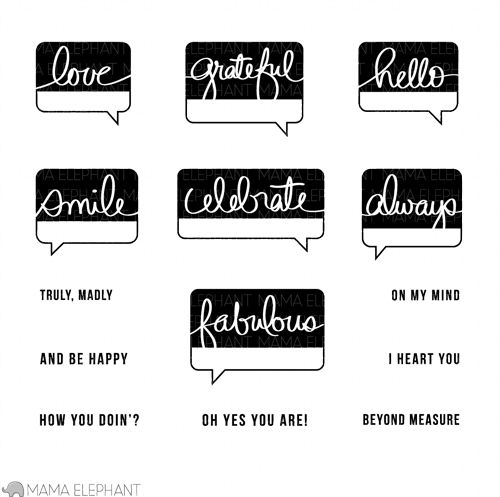 These are great speech bubbles! These cards are AMAZING!!! And thanks for having me as a winner!! So excited!!!!! THANKS! doing the happy dance .... well not really, just had back surgery, so it is more like a shuffle! I will be contacting you with my details.